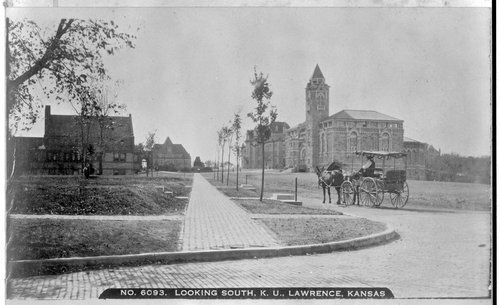 A photograph of the K.U. campus, with Dyche Hall, Spooner Hall, old Fraser Hall, and Blake Hall, visible in the background. Also pictured is a horse and buggy in the foreground.